Director and Producer, Bonnie Lythgoe today announced that her sixth and BIGGEST Australian panto JACK AND THE BEANSTALK a ‘GIANT’ 3D family panto musical spectacular will star LUCY DURACK, PETER ROWSTHORN, JIMMY REES, RICHARD REID, LUKE JOSLIN, ANASTASIA FENERI, MALCOLM LORD and LACHLAN DEARING as ‘Jack’. Australia has fallen in love with Bonnie’s magical pantos over the years that feature dazzling costumes, stunning sets, magic, some very special effects, hilarious comedy and thrilling musical numbers. 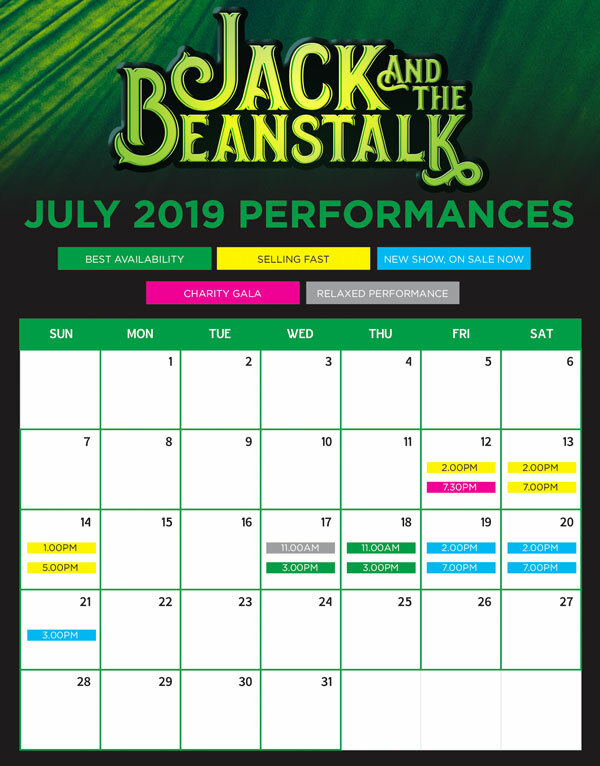 JACK AND THE BEANSTALK will feature a fantastic 3D sequence that will transport audience members deep into the Giant’s castle and will play at the majestic State Theatre, Sydney from Friday 12 to Sunday 21 July 2019. Announcing this year’s fabulous cast Bonnie Lythgoe said “I am thrilled to have LUCY DURACK, one of Australia’s most exciting leading ladies of stage and screen together, in this year’s upcoming Panto. Joining Lucy in the panto is Comic and TV sensation, PETER ROWSTHORN best known as long- suffering husband Brett Craig on “Kath & Kim” is delighted to be joining Bonnie in her next panto and will take on the role of ‘King Crumble’. Currently appearing on Dancing with The Stars, JIMMY REES aka Jimmy Giggle from the hit ABC Kids’ show, Giggle and Hoot, is returning for his third Bonnie Lythgoe production and will play ‘Silly Billy’. Television’s favourite entertainment reporter RICHARD REID, the recently crowned “King of the Jungle” on Channel Ten’s I’m a Celebrity Get Me Out of Here, joins the cast as ‘Bumble the Lord Chancellor’ Also joining the cast and spectacular fun is musical and theatre performer/director LUKE JOSLIN (who is currently causing hysterics in Peter Pan Goes Wrong). Hi-5 favourite LACHLAN DEARING rounds out the cast as ‘Jack’ with ANASTASIA FENERI as Jill. With morning, afternoon and evening performances and fantastic rates for groups and children, we invite you to book your tickets now for the strictly limited run at the State Theatre from Friday 12 July – Sunday 21 July 2019. Don’t miss this Family Musical Panto of your dreams! Quality entertainment for adults and kids alike this July.